Eeeeep, I love this tape more than any other tape I have used for painted projects. 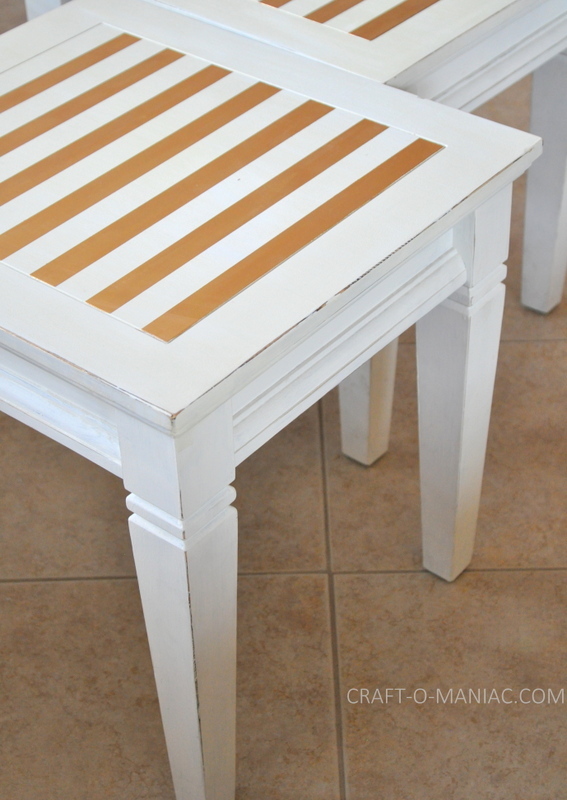 Soooo, I am thrilled to share it with all of you, along with pictures of the “DIY Gold and Striped End Tables”, I painted. 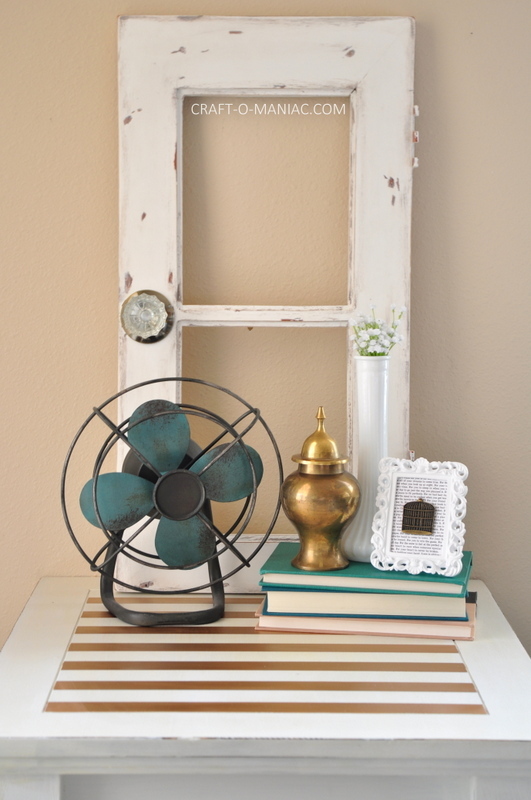 FrogTape® is the only painter’s tape treated with PaintBlock® Technology, cool huh? PaintBlock is a super-absorbent polymer which reacts with latex paint and instantly gels to form a micro-barrier that seals the edges of the tape, preventing paint bleed. Seriously, it totally works, I was blown away by the super clean no bleed lines. YAY! 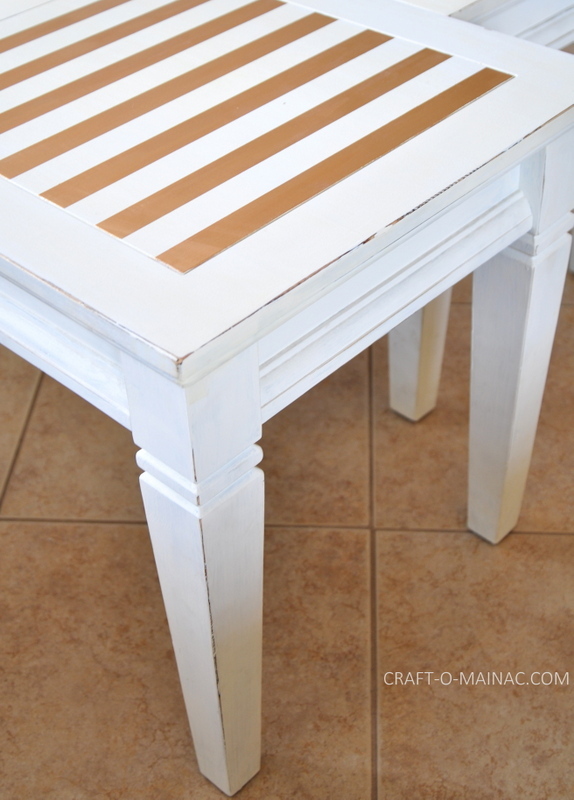 I started with plain white tables that had been primed, painted, and sanded just over a year ago. They needed to be jazzed up a bit from the plain solid white. Before I began taping I made sure they were wiped down and dust free. I then simply measured out my stripes and started laying down my FrogTape®. Once I had everything taped down I moved onto painting. You want to use a nice craft brush, one that won’t loose a bunch of bristles. 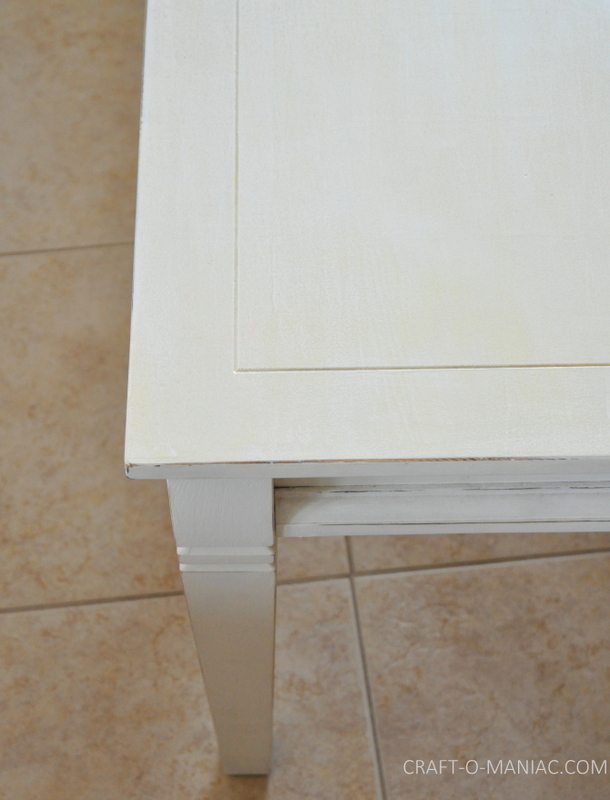 I then used my “Gold Gilded” paint by Martha S. (favorite gold paint, but warning it gives you a headache!) I did nice back and forth even strokes and let the two tables dry a bit. 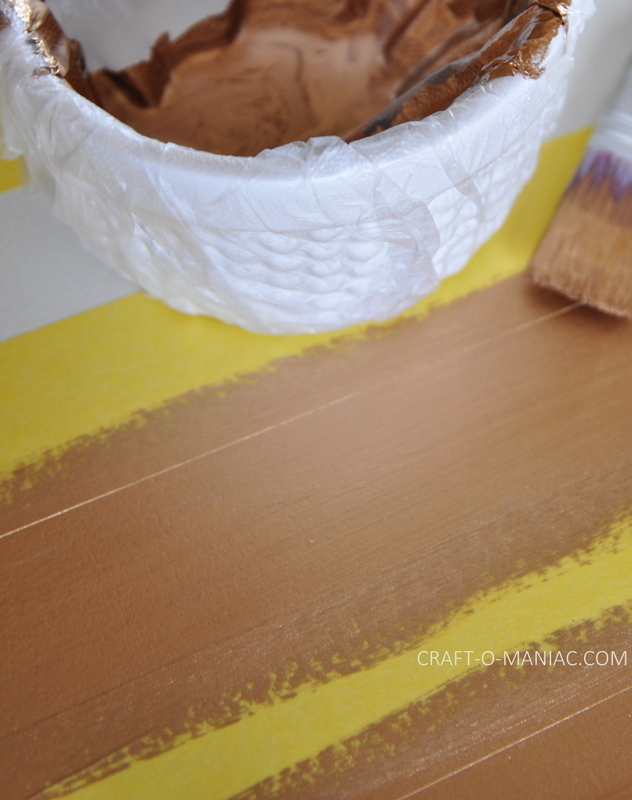 I pulled off the FrogTape® and was amazed by again the super clean and flawless lines aka stripes. I super PUFFY heart them! .. and what is some super fab tables without them being decked up a bit?! 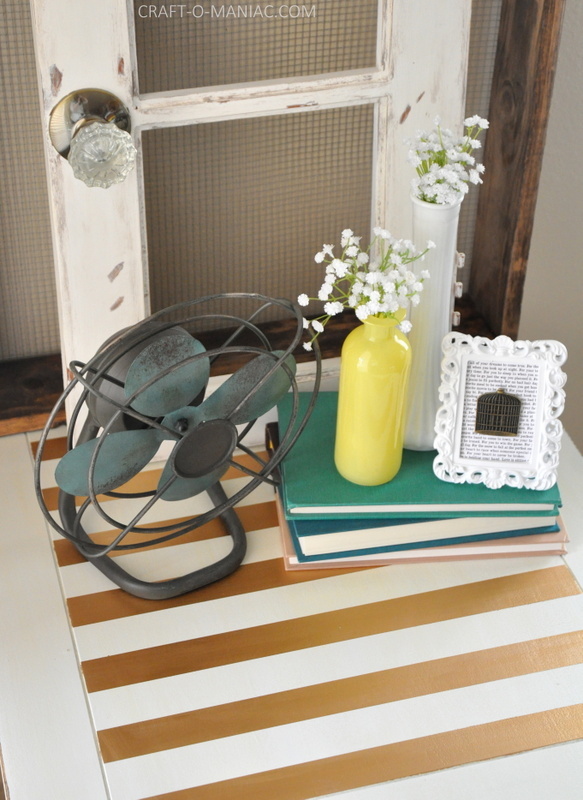 I first dressed up the new striped table with this look you see above and below. Then I tried it without the cute chicken wire drawer and yellow vase. 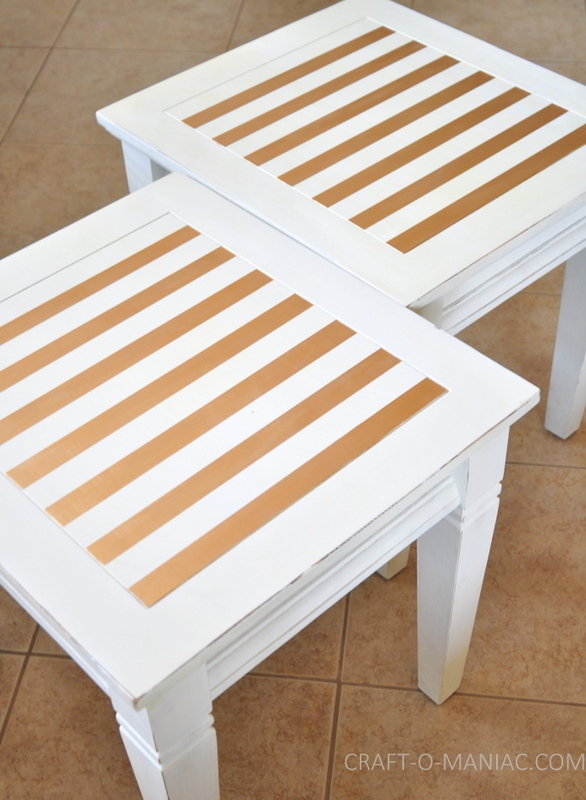 Here is one of the tables with a gold vase to go with the gold stripes. Love them, so much “easy” fun. 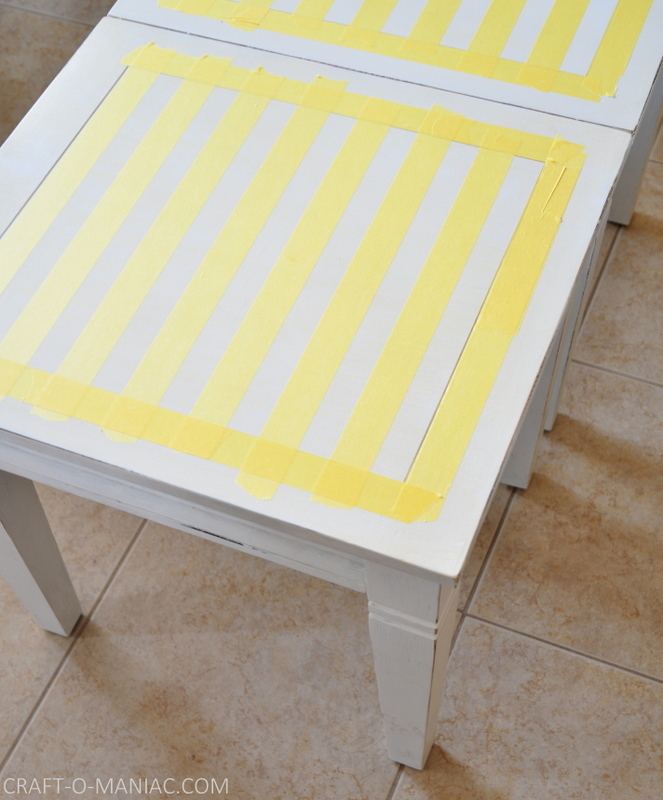 You can have some clean frustrated fee fun too, using this killer FrogTape®! 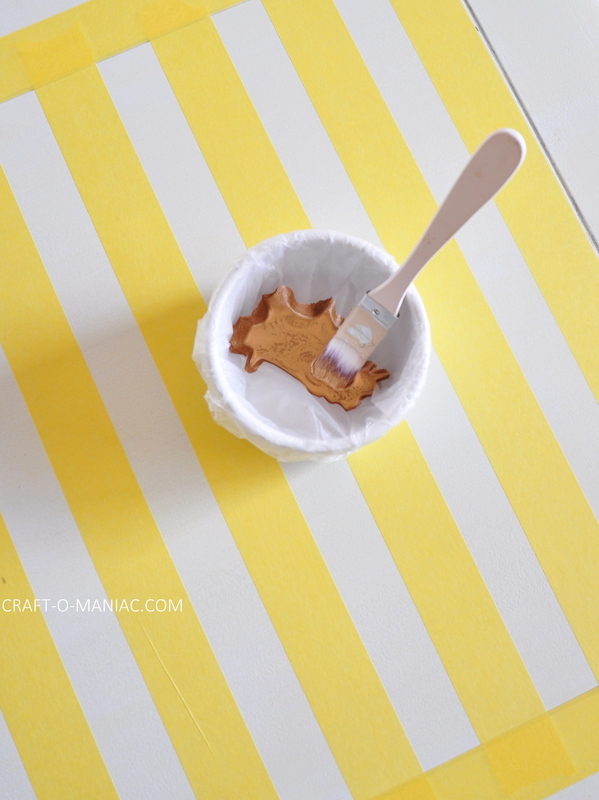 you can follow @FrogTape for tons of creative inspiration! Love Love Love these!!! Great job. They turned out so beautiful! 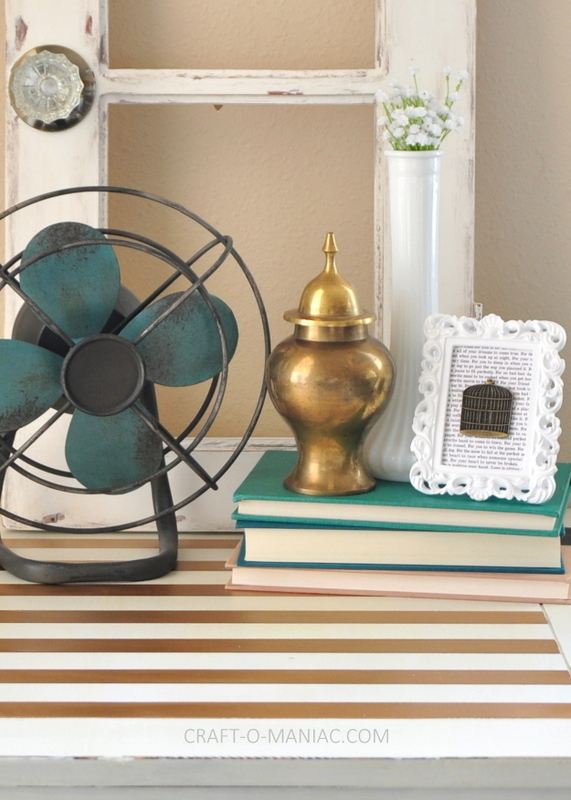 Love the gold and the stripes! I LOVE this look! I’m wondering if I can try this on those cheap Ikea side tables? Thank you for sharing! 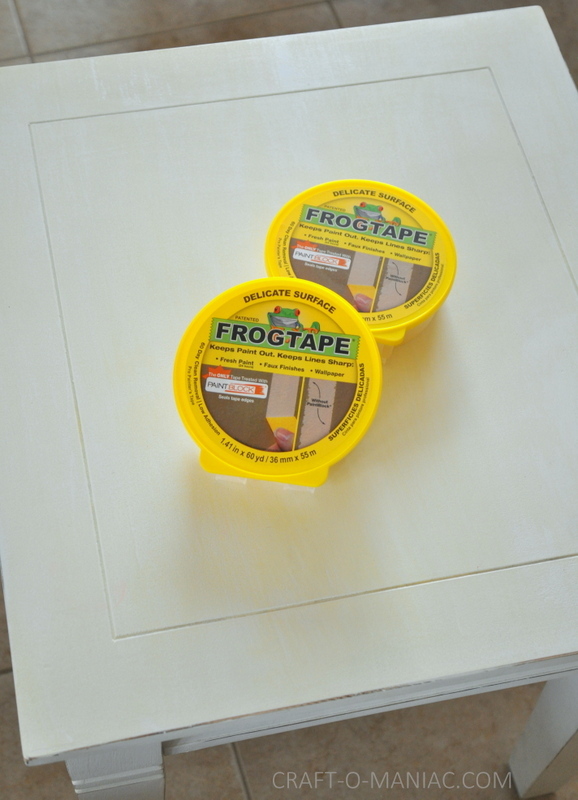 I have been wondering about giving Frog Tape a try, looks like I’m going to have to!! Love.